Instagram is unique from other social media platforms because it is built for mobile-usage. Users must edit and upload content through the app on their phone, while Instagram’s website limits users to viewing, liking, and commenting. Real estate agents regularly struggle to make content that performs well on Instagram. Those agents who are willing to learn, however, are reaping the rewards in the form of brand awareness and new business. Instagram content is not limited to well-framed pictures of vibrant home exteriors and interiors. Eye-catching photos are great for promoting certain listings, but you will need a variety of content to engage your audience and gain more followers. Instagram is photo and video-sharing social network. Everything is done through the app on your phone (although there is a “lite” desktop-friendly website for viewing posts). Tons of editing options make it easy to create polished and professional-looking images and videos. It’s an ideal platform for targeting a Millennial audience—60% of users are ages 18-34. Now, if I still have your attention, let’s get to the good part—the tactics! Read on to learn 5 ways you can use Instagram to grow your real estate business and strengthen your relationships. On Instagram, you can get really creative about how you promote your listings. You can share an eye-catching photo of your listing—like @seatownrealestate does so well—or even a series of photos. 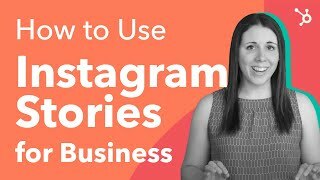 In addition to regular posts that show up in the feed, you can also create a Story—a collection of your videos and photos that has a shelf life of just 24 hours—that will appear at the top of a user’s screen. This is a cool way to do a virtual tour of a property—you can include a mix of short video clips, images, commentary, and captions. And because a Story doesn’t live (publicly) online for all eternity, there’s less pressure to make sure it’s perfect. Your followers will be expecting something more off-the-cuff than a typical social media post. Don’t just post about listings—allow your followers to learn more about you. Share photos of your life…your dog, your vacation, the sunrise at the end of your morning jog. Just remember to keep a healthy balance—even the most dashing #dogsofinstagram pics aren’t gonna sell houses. How have you differentiated yourself from other real estate agents in your area? However you’ve branded yourself, you can use Instagram to increase your brand awareness. A great way to attract followers on social media is to provide valuable information—something educational or useful. Design inspiration is a popular topic on Instagram, and a great one for attracting potential future clients. Check out searches like #interiordesign, #homedecor, #farmhousedecor, and #dreamkitchen to see what types of photos people find most interesting. For this type of post, you could even repost other people’s compelling content.